My running had barely seen its first half marathon when I was warned! Warned by my well – wishers to be wary of the addiction! I thought to myself- Addiction of Running? I mean can there be too much of a good thing like running? An hour every other day and 2 hours on a weekend can’t be called an addiction? Can it be? I left it there. Not the running. But the thought! 3.5 years later – I warn the ones who are newly wedded to the road, loving the honeymoon period of learning, finding run buddies, wanting to soak it all, giving everything to their newly found relationship with running. There is a hidden side to our running. Running and our relationships. Running and how it impacts our relationships. There is a non-runner in every runner’s life! The silent supporter (SS) – spouse, boyfriend, girlfriend. The runner comes back home with a medal, a tee-shirt, kudos on strava, a great social life, having breakfast with his run buddies. The SS is usually someone who is not as interested in sports. However not wanting to be a cog, the non-runner SS becomes a cheerleader, looking after the kids, waiting for you to come back and get the weekend started as a family. In the beginning, Running Consumes us – The runner starts loving the deep connect with running and all things running – the Friday buzzing of the whatsapp with long runs being planned on the weekend, the post long run brekkas, the post-run parties, the facebook posts, the ‘Awesome’ comments on social media that – take the ego to another level, the positive reaffirmations, the appreciation that goes up to our heads – all of this eats up a huge chunk of our time yet looks completely harmless. MAYBE Not! The silently supporting non-running partner is watching it all. And there does starts to seep in a void. The Frustration of the non-running partner – I am quickly concluding that the SS is finally frustrated! She started out with giving her spouse her support with something she thought would get him fit! She takes charge happily! She is happy to see him push himself, run a half marathon, a full marathon. The kids love the medals, the health quotient in the family hits an all-time rise! But the intensity of the passion for the new activity and the new people makes the SS start questioning this deep connect. The time that once belonged to her – is now being shared. Shared with someone while running long hours together, discussing plans and running ambitions, connecting over thoughts that a runner might think is hard for the SS to understand. 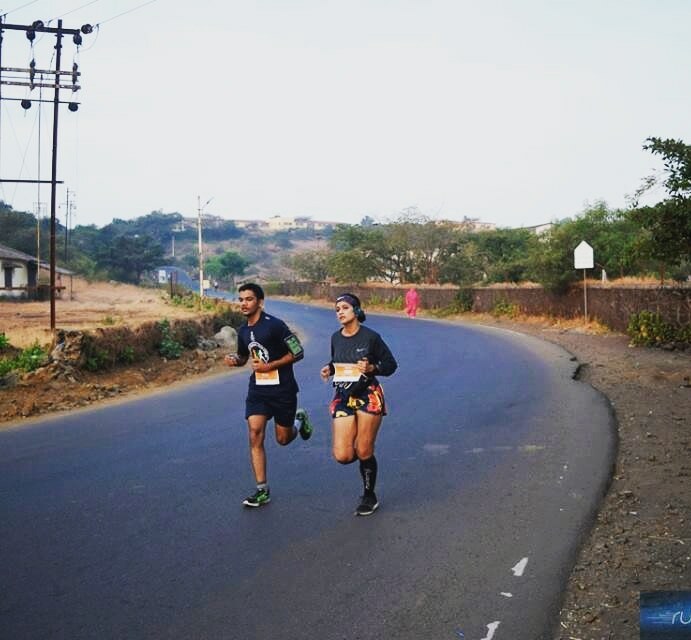 As her husband’s recent running picture on Facebook attracts every possible ‘ego-inflating’ comment, I wonder do we as runners test our partner’s limits of patience and trust! Do we make them feel excluded? So yes there is such thing as running too much – And that basically means giving too much of your time to running and things related to running! We make time for work, for family and for running, and then somewhere we forget to allocate a fair share to them all. Do we runners leave our families with no choice but to support us? So while here we are strengthening our bonds one way, Is running driving us away from our real relationships in other ways? Is our passion for running overwhelming our partners? It can and it does when we forget that there is a space that is reserved for every relationship in our life. We run because we love to, but if that starts becoming a reason to hide, lie and hold back from the SS then it has become dangerous. Even if you are sure that your partner will not understand your running aspirations – it’s ok to sit down and explain to them the timings you are targeting, the races you want to run, the mistakes you’ve been making, the things in running that excite you and who your run buddies are! Tell them how invaluable their support has been so far and how tough it would be without it! Think it’s all about opening the channels of “COMMUNICATION”! You never know you might end up inspiring them! This extra effort is worth it! Not everything is about running ! The Runner’s justification: Yes, I have my side of the story too! I enjoy running, I fuss over it a little more pointlessly couple of months before my event! But pointless – it is not! The plan, the confidence to execute it, the hard work – the whole thing drives me! I try my best to not let running disrupt my family time. Of the 18-20 runs I log in a month, I try to be back before the house wakes up for at least 14 of them. I do like to be there for the special days of my run buddies by joining in their Birthday brekkas! Running is a passion for now and I am forever trying to find the balance! It’s not easy! It never will be. There are number of times I’ve given up a crucial training run because my family has needed me that morning. To maintain that deeper connection with every individual in my family and to stay on top of my running simultaneously is something am yet to achieve. The work-life balance seems easier than the work-life-run balance. On the positive side – I’ve seen many non-runners slowly get into running solely because of their running partners! They may not have ended up running together for the sake of letting each other train at their own pace, or even done a half marathon. They may not enjoy running much either, but a couple of 5ks and 10ks later, they’ve understood why carb-loading prior to a race is such a big obsession, or why we must carry our shoes on every vacation (arrghh), why we emotionally stack one bib after another in our keepsake boxes, why a good running photo means the world to us, why the mass-medals are not just pieces of metal! Ending yet lingering thoughts – The non-runner is every runner’s life is the pillar, the support without which the runner cannot do. Respect for each other’s passions, the endless effort to bring in a balance (work-life-run) stay vital to this game. Because running is always about wanting to give more, putting in more, making that extra effort, becoming a better person, runners truly never give up and the same should translate into our relationships too. Removing the red flags in the relationship because of it, is a responsibility that every runner has to keep working on time and again!